Have you ever just wanted to get the boys (and girls) away from the PS4 for a while? 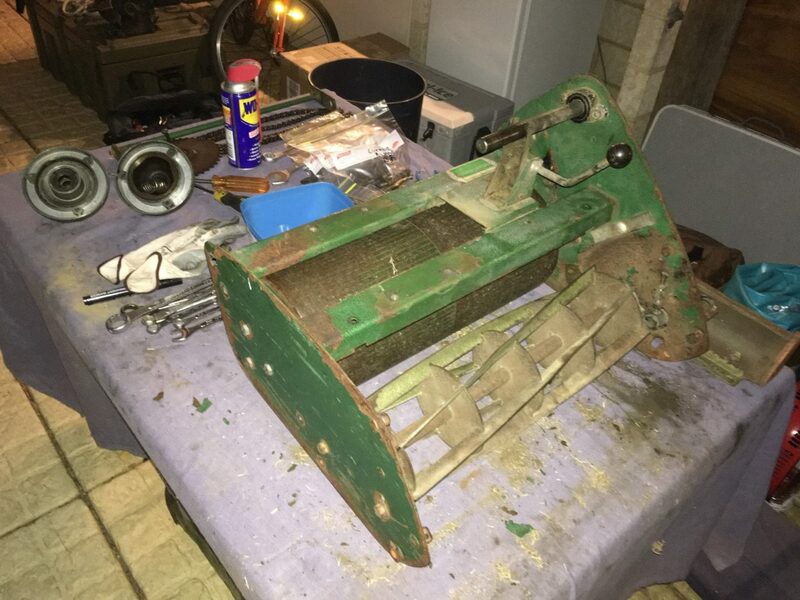 well I think I found the solution… My son and I decided to give the whole “reel mower restoration” thing a go. After a bit of searching I decided upon the ever popular Scott Bonnar/Rover Model 45. 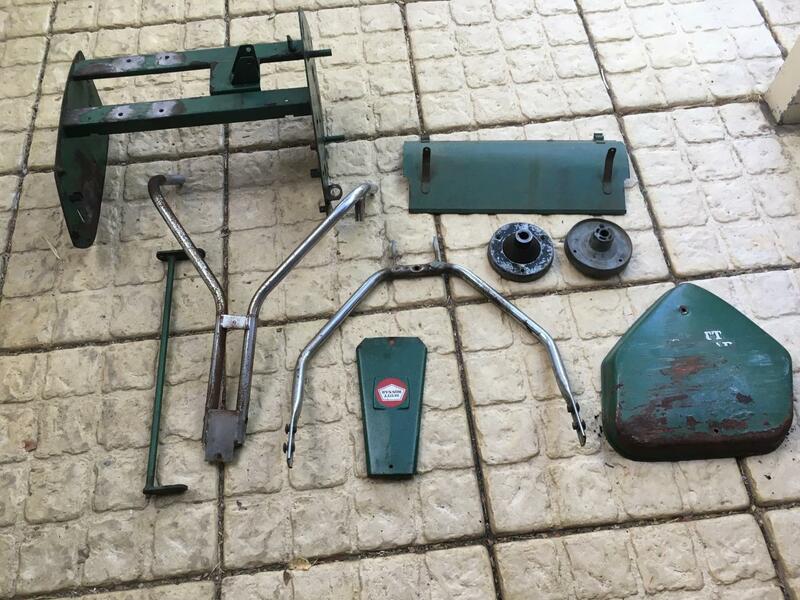 It seems you can still find many parts for these suckers as well as plenty of donor mowers also if required. 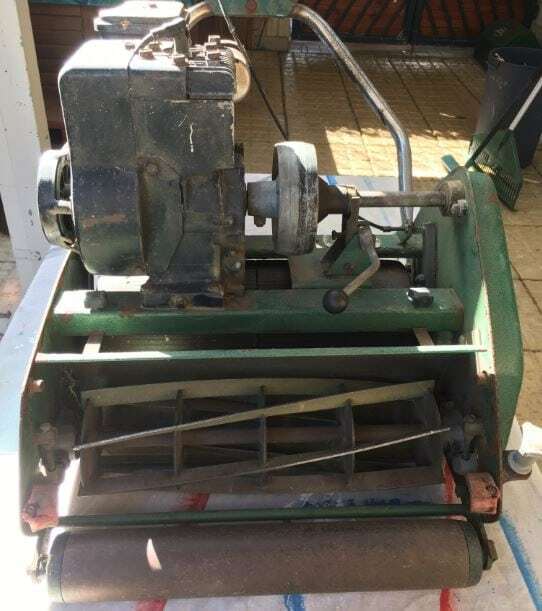 We searched the ever faithful GumTree for a semi cheap donor mower and came across an old chap down the road selling the exact one we were after. 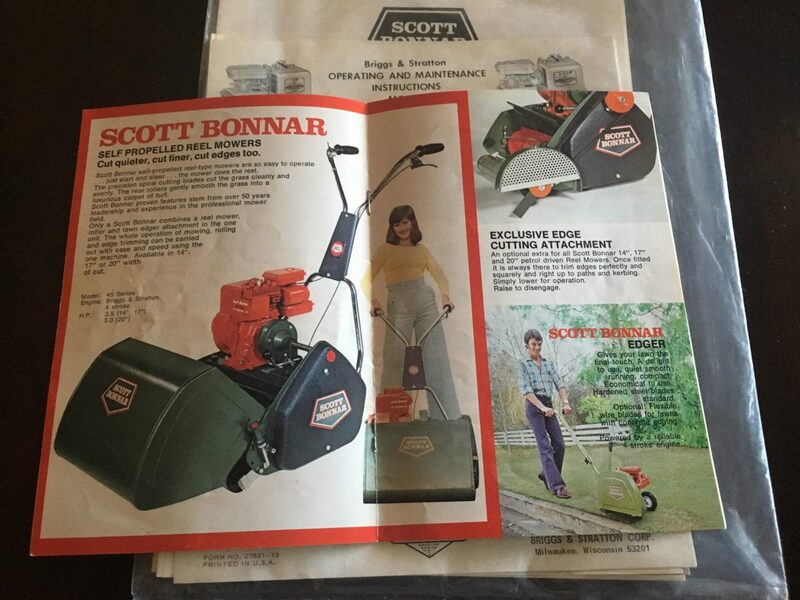 A 17″ reel mower with the Scott Bonnar 45 stickers all over it. 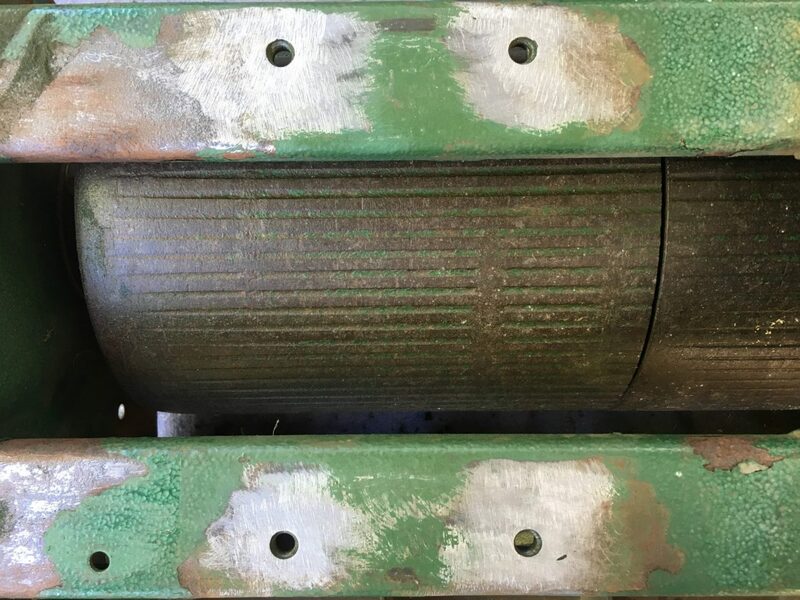 The nice, but old green paint job and oil stained Briggs and Stratton engine has us in awe. I gave it a quick test cut on the lawns and we purchased it on the spot. Without looking too close, we probably should have checked it a bit more thoroughly. 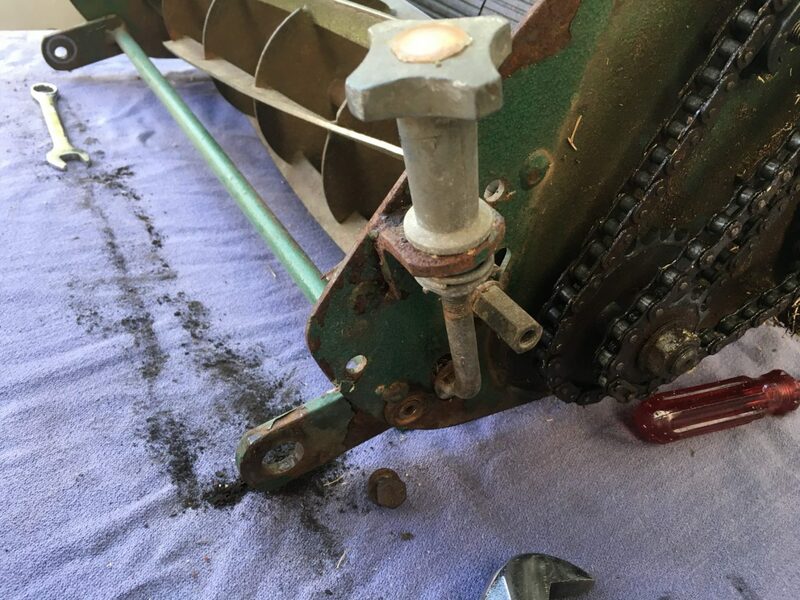 It seems that these mowers have a bit of a problem with the horizontal supports for the engines. 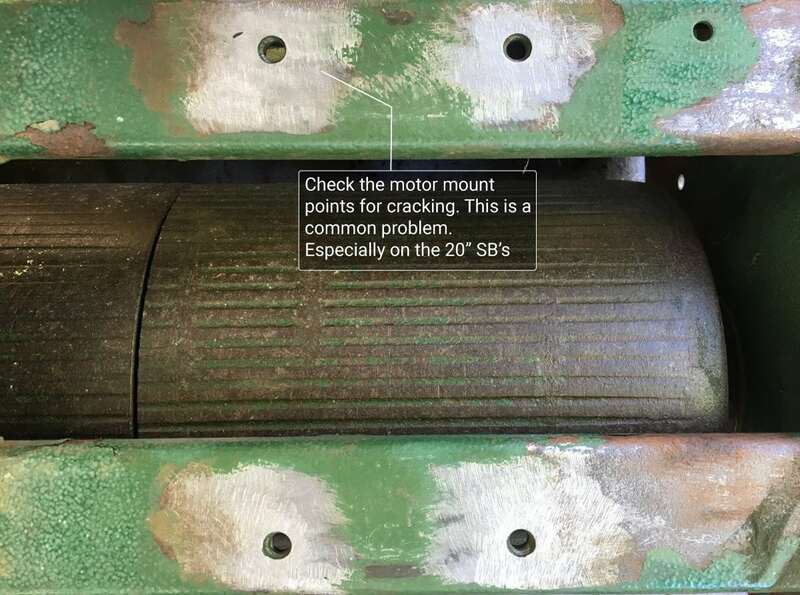 Over time the engine mount holes get cracks in them and this can spell disaster for any home restoration project. The good news for us however that after a complete strip of the engine we had zero cracks and the restoration was good to go. 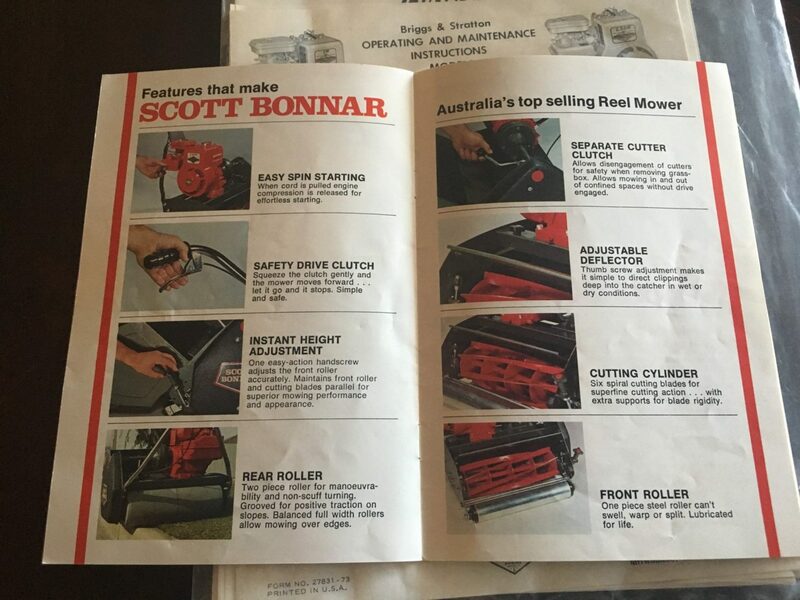 Thanks to ‘Bonnar Bloke’ from the Outdoorking.com forums we were able to get this little piece of history on this particular model of Scott Bonnar 45 mower. So apparently back in the day powder coating was not a thing and the SB’s were painted with a Hammer-tone enamel paint. I can tell you that it is truly very stubborn to remove. 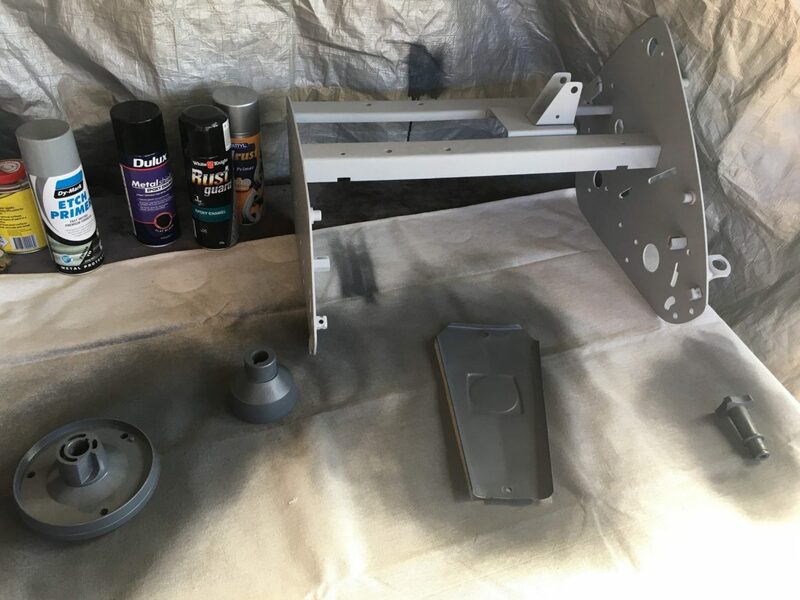 Initially I used a sandblaster with the course garnet and it got rid of all the rust and crap. 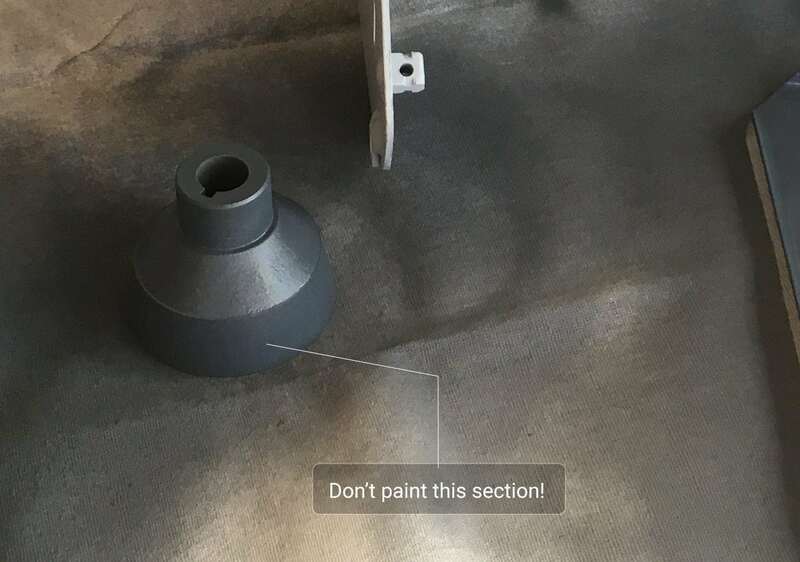 But the paint that was still good quality would not budge. I then switched to the grinder with sanding pads, which worked pretty well. However all the small grooves proved to be a hassle with the grinder. 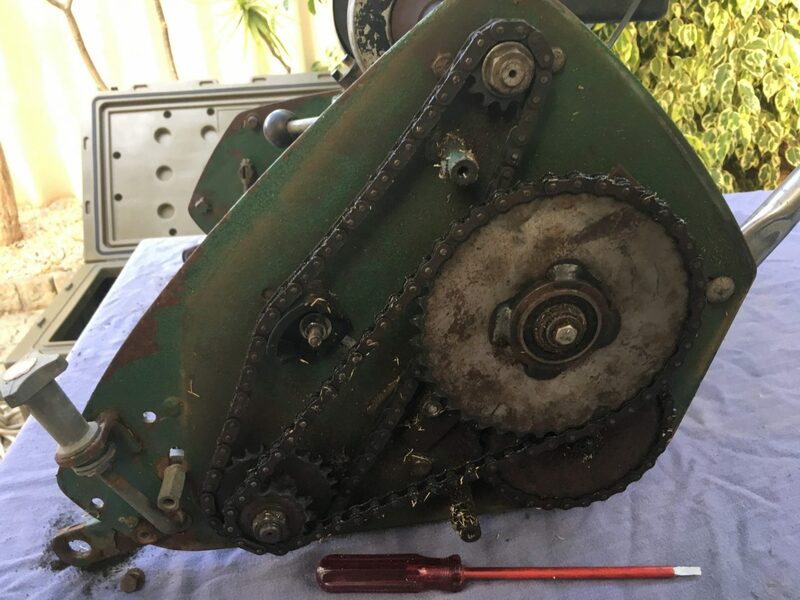 The third method was to then use those wire brush attachments for the drill and after some time was able to bring the mower back to bare metal. 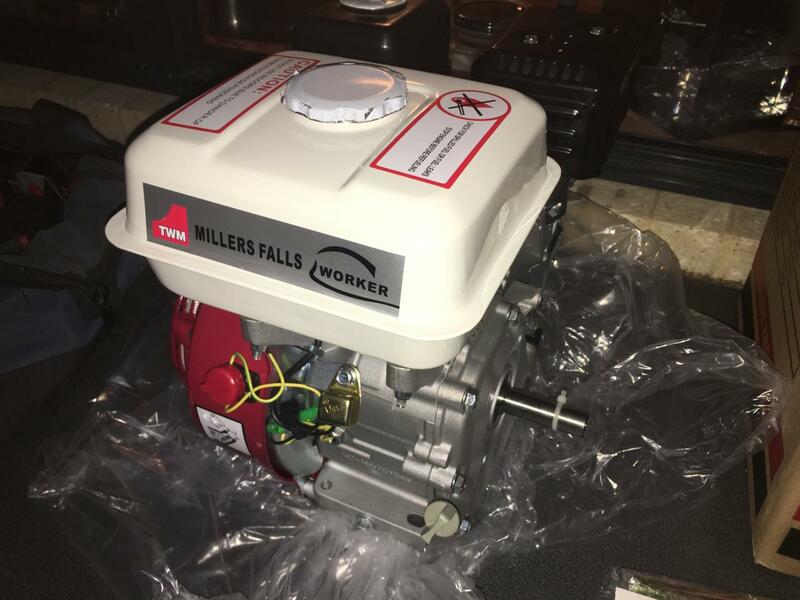 The original Briggs and Stratton engine that came with the mower still runs, however it has seen its best days and I decided a retro fit was in order. Would you believe that you can get a direct replacement “Chonda” or Chinese Honda for $144 delivered? well you can’t really beat this and even if I get 5-6 years out of it I will be happy. 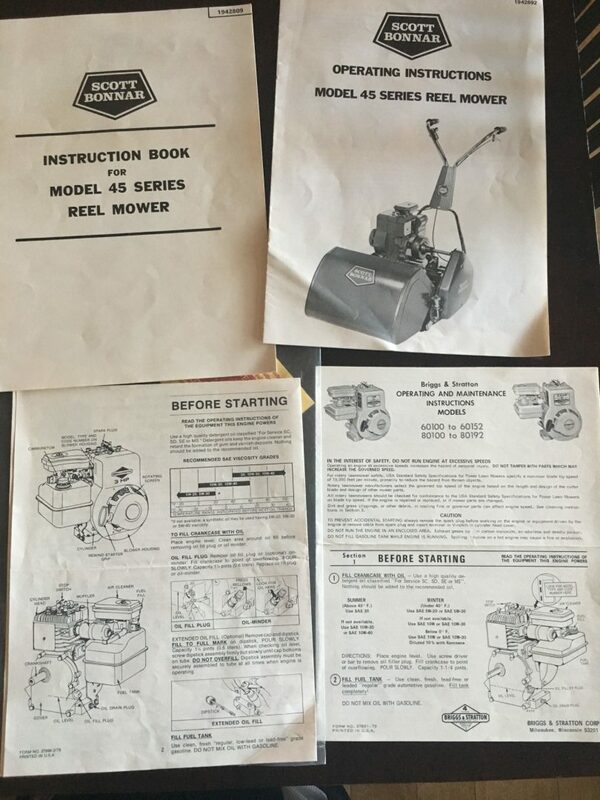 The process of removing and replacing the engine is pretty straight forward. 4 mounting bolts, a throttle cable and thats about it. So it has been a long time between drinks. Since I started the SB, I have moved workshops, got married and renovated some of the house. Also had a few other projects on the go recently. What I can say is that the SB is mostly stripped back and in primer. I still have parts everywhere, hopefully I’ll find some time to continue the build soon. Oh and I also purchased a “Daily” mower that has been keeping the lawn in good condition. It came with the original manuals! Check out the pics below for more details. This post is a bit of a work in progress. I’ll keep updating it as we go with the resto. Wish us luck!